For as long as we can remember, Pastor Junior has been involved with the groups that came to serve at Clínica La Esperanza. He learned about ministry as young boy while serving alongside his father, Pastor Rafael, Sr., at evangelistic outreach events, home visits, VBS programs, and film ministry, both at nearby migrant camps as well as in the local community, Ejido Nueva Odisea. When he was 12, Junior began teaching Sunday school at his church, and, at age 13, he started teaching for VBS events in eight nearby communities. By 15, he was also involved with film ministry. When he was 17, he was baptized. At age 18, he left for Tijuana to attend seminary. After graduating in 2001, he began pastoring at Iglesia La Hermosa. In 2003 he felt led to establish a Bible school, Instituto Bíblico Misionero Cristiano “Amigos de Jesús” (“Friends of Jesus” Christian Missionary Bible Institute). He has always enjoyed teaching, and many years prior, during his time working with children and youth, the Lord had given him a desire to provide more intense training for youth and equip them for the Lord’s work. Today the Bible school is making that vision a reality as it trains young people to serve at their respective churches and missions. 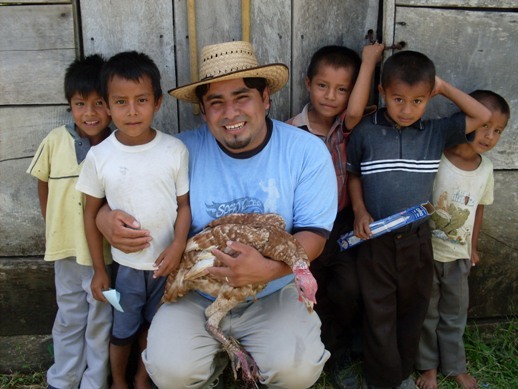 In addition to his roles at the church and the Bible school, Pastor Junior is also currently serving as president of the San Quintín Valley Youth Alliance and secretary of the San Quintín Valley Ministerial Alliance.